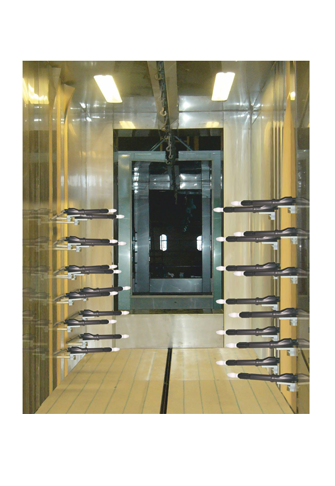 Move to the next level of finishing, control and cost reduction with Pro Touch Powder Coating Equipment. 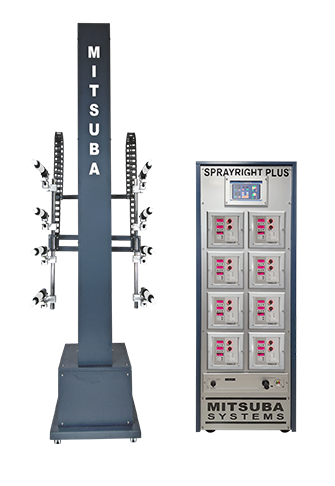 Mitsuba's Automatic SPRAYRIGHT PLUS can be preprogrammed to Exactly reproduce the set powder flow patterns for similar types jobs. Specific values can be pre-fed for each gun to achieve highly dependable results. An unmatched level of ease with touch control for voltage, current, powder and air. Link up with iPhone, iPad, or Android phone /Tablet. Just 1 Touch can adjust all guns or only desired gun.